Under Communism, the jealous Communist regimes (Soviet and Chinese) vilified Mongolia’s national hero, Genghis Khan (who was in fact quite progressive, even by contemporary standards). During the Cultural Revolution, all traditional music was banned, so a tune extolling the virtues of the great Khan’s steeds would be doubly anathema. 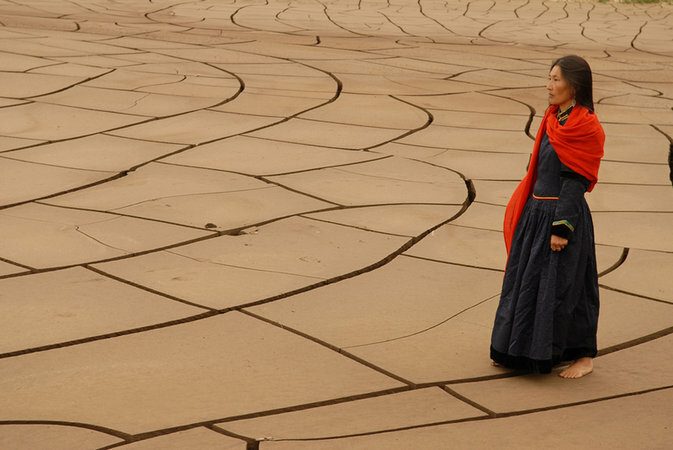 However, the song held tremendous meaning for Mongolian vocalist Urna Chachar Tugchi’s family, so she set out to reclaim their cultural heritage, verse by verse. 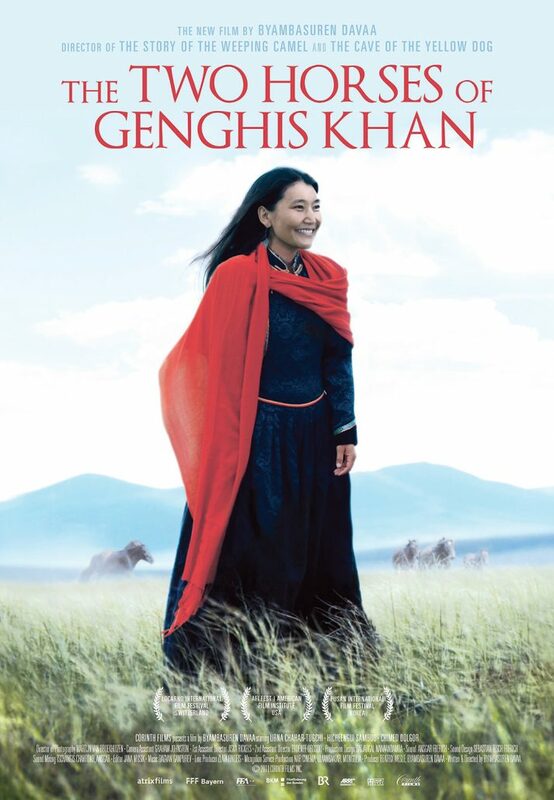 Byambasuren Davaa chronicled her song-hunting odyssey in The Two Horses of Genghis Khan (trailer here), which releases today on DVD from Corinth Films. Urna (as she is often simply billed, like Adele) grew up in a musical family, haunted by the Cultural Revolution. At the height of the horrors, her grandmother’s prized horse-head violin was destroyed. Only the carved neck remained, on which some of the lyrics to the song “The Two Horses of Genghis Khan” were still legible. The symbolic significance for the divided Mongolian homeland is hard to miss. Having gained international prominence in what might be termed “world music” circles, the Inner Mongolian Urna arranges a concert with an Outer Mongolian classical ensemble to premiere the rediscovered song. At that point, she sets off into grasslands in search of elderly Mongolians who might still remember the lyrics. Unfortunately, during the early stages of her journey, she only finds the lingering effects of deliberate cultural and environmental devastation. As in Tibet, the old regime was not a wise steward of Mongolia ecology and the current government had other fish to fry, such as the 2008 riots, which broke out just after filming wrapped. Frankly, viewers will suspect some of the old timers Urna meets might remember the song better than they let on, but simply do not feel comfortable admitting otherwise, given the past efforts devoted to suppressing traditional culture. Fortunately, Urna has a stirring voice and a warm, engaging presence, which give her immediate credibility with the Outer Mongolians she encounters and the viewers watching from the comfort of home. The wide open vistas are also quite a sight to take in, making THoGK an unusually visual documentary. Indeed, cinematographer Martijn van Broekhuizen (currently shooting the reboot of The Crow) frames some pretty incredible images. The climatic performance would seem to end the journey on a satisfyingly uplifting note, but the final post-credits captions offer a chilling parting dose of reality. They also underscore why Urna’s mission of cultural restoration is so important and necessary in a world of ideological strife. Highly recommended, especially for fans of Urna, Shen Yun, and similar efforts to reclaim the cultural diversity lost under the successive mass movements of the Chinese Communist regime, Two Horses of Genghis Khan releases today (9/27) on DVD, from Corinth Films.